An out-of-bounds adventure for one British skier went from bad to worse recently when he was chased by wolves and forced to spend the night in a tree in a survival episode ripped from The Revenant. Janveer Sandhu struck a tree head-on shortly before taking an out-of-bounds route on a 5-day holiday in Bansko, Bulgaria. 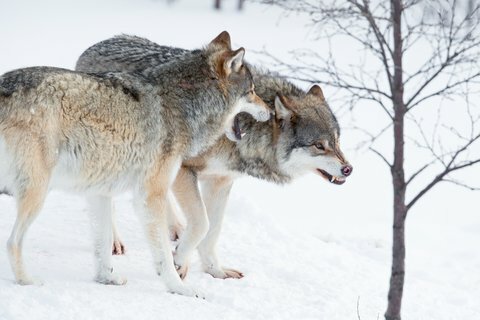 After getting his bearings, the 30-year-old was surrounded by three angry wolves. Sandhu hurled himself through the snow trying to get away from the wolves, but the snow up to his waist at times was too deep to make enough ground so he kicked off his ski boots. “My adrenaline had kicked in. I wasn’t thinking about my feet — I just wanted to save my life,” he told The Sun. He ended up spending the night in a tree, freezing cold and fearing for his life. “When night fell I couldn’t see a thing. My body was tired. I did everything to get out of where I was. I decided to find a safe space and to wait until morning. Then finally morning came and he flagged down a passing truck. After making it out of the woods, Sandhu still faced significant medical hurtles. He spent three days in the hospital where doctors attempted to save his feet, which could have very well been lost. In the end, he is expected to have part of his big toe and one other toe amputated.